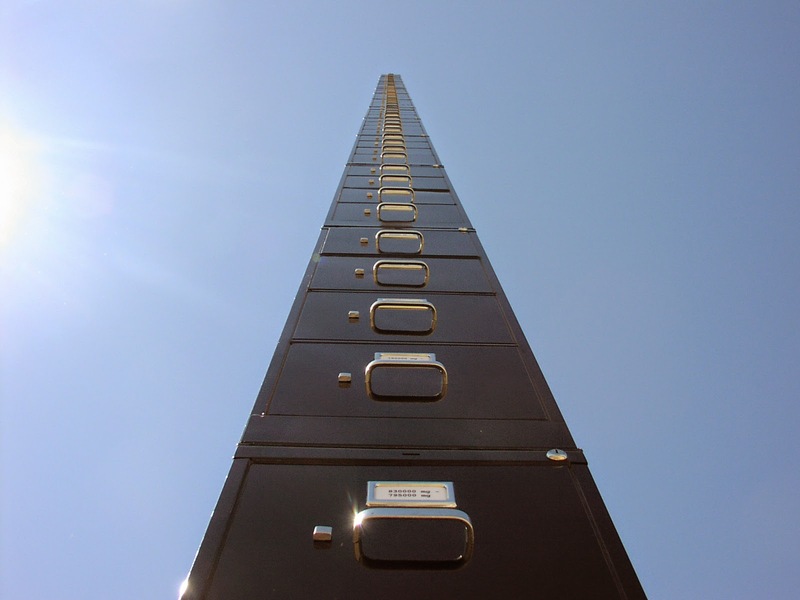 Transportation employers, can you survive an OSHA audit? The FMCSA Auditor is on the left. 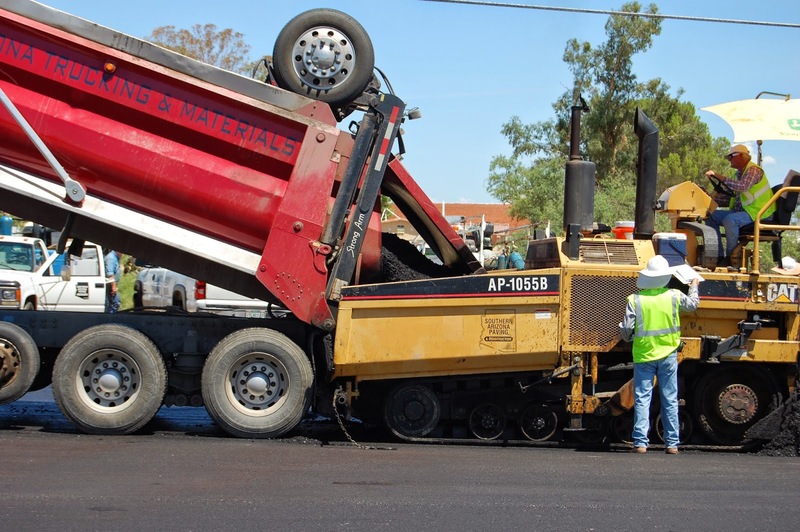 And last week, OSHA ordered a Michigan asphalt company to pay almost $1 million to a foreman and two drivers who claimed that they were fired in violation of the Surface Transportation Assistance Act for engaging in protected activity related to driver hours of service. *Forklift Compliance. Are forklifts in good working order, with legible data plates and functioning seatbelts that are consistently used? Are attachments approved by the manufacturer? Do you regularly conduct required pre-shift inspections? Have all operators been trained and evaluated, and then re-evaluated every three years? *Loading Docks. Do you regularly review procedures and check equipment used to prevent trailers from mistakenly pulling away while being loaded? And, if any loading dock is 4 feet high or higher, to prevent forklifts or employees from falling off the dock? *Terminal shop and fuel islands. 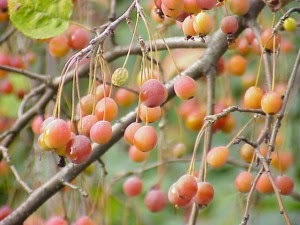 These are considered “low-hanging fruit” for OSHA inspectors, who frequently find unguarded or unanchored grinders and drills, use of compressed air without safety nozzles, lack of eyewash facilities, trailer top repair work without fall protection, and unlabeled containers of oil, antifreeze, or even window washer fluid. Watch out for that low-hanging fruit! *Safety shoes. OSHA inspectors have even been known to cite employers for not requiring dock employees to wear safety shoes with protective toes. *FMSCA compliance. Yes, even the OSHA inspector may tell you in the closing conference that employees alleged FMCSA violations, such as exceeding hours of service, falsification of logs, or improper maintenance of tractors and trailers. The OSHA inspector may also notice and refer visible FMCSA compliance issues, such as improperly loaded trailers, missing or erroneous hazardous material placards, or hazardous cargo that is improperly packaged and leaking, or missing the required labels. *Whistleblowers. Of course, because the primary focus of the MOU is whistleblower protection, either an FMCSA auditor or an OSHA compliance officer would quickly refer any claim of safety-related retaliation. Those complaints would be referred to OSHA’s Whistleblower Protection Programs division for investigation. All trucking employers should already have in place an effective whistleblower protection policy, with training for managers, supervisors, and employees. Tommy Eden is a partner working out of the Constangy, Brooks & Smith, LLP offices in Opelika, AL and West Point, GA and represents FMCSA regulated employers in Workplace Drug & Alcohol Testing Practice Area, He can be contacted at teden@constangy.com or 334-246-2901. Blog www.alabamaatwork.com This column was co-written by David Smith from Constangy’s OSHA practice group in Atlanta who can be contacted at dsmith@constangy.com or 404-230-6785. 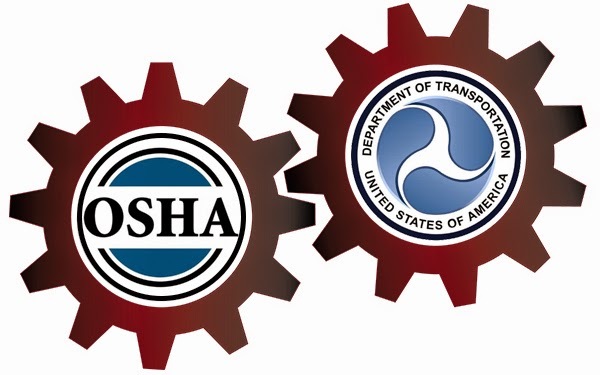 WASHINGTON – The U.S. Department of Transportation’s Federal Motor Carrier Safety Administration (FMCSA) and the U.S. Department of Labor’s Occupational Safety and Health Administration (OSHA) have signed a Memorandum of Understanding to strengthen the coordination and cooperation between the agencies regarding the anti-retaliation provision of the Surface Transportation Assistance Act (STAA). The Memorandum allows for the exchange of safety, coercion and retaliation allegations, when received by one agency, that fall under the authority of the other. The STAA protects drivers and other individuals working for commercial motor carriers from retaliation for reporting or engaging in activities related to certain commercial motor vehicle safety, health or security conditions. FMCSA and OSHA each play a specialized role in protecting the safety of commercial drivers and of the motoring public. OSHA investigates employee complaints of retaliation by commercial truck and bus companies. FMCSA is responsible for regulating both industries and – along with its state law enforcement partners – ensuring company and driver compliance with federal safety regulations, including driver on-duty and driving time limits to prevent fatigue, commercial driver’s licenses rules, medical qualifications, drug and alcohol testing, hazardous materials safety standards and others. Under the MOU, FMCSA will refer employees who complain of retaliation to OSHA, and OSHA will provide FMCSA with copies of complaints filed and findings issued under STAA. The agencies will report to each other annually on information shared during the previous year. The MOU also provides that FMCSA will process OSHA requests for information from various FMCSA databases. The public, commercial drivers, motor carriers and other industry members may file a safety, service or discrimination complaint against a household goods moving company, bus or truck company, including hazardous materials hauler or a cargo tank facility, by calling toll free 1-888-DOT-SAFT (1-888-368-7238) from 9:00 a.m. to 7:00 p.m., Monday through Friday, Eastern Time. Complaints may also be submitted through FMCSA’s National Consumer Complaint website at:http://nccdb.fmcsa.dot.gov. FMCSA was established as a separate administration within the U.S. Department of Transportation on January 1, 2000, pursuant to the Motor Carrier Safety Improvement Act of 1999. Its primary mission is to reduce crashes, injuries and fatalities involving large trucks and buses. For more information on FMCSA’s safety programs and activities, visitwww.fmcsa.dot.gov. OSHA enforces the whistleblower provisions of the Occupational Safety and Health Act and 21 other statutes protecting employees who report violations of various workplace, commercial motor vehicle, airline, nuclear, pipeline, environmental, railroad, public transportation, maritime, consumer product, motor vehicle safety, health care reform, corporate securities, food safety and consumer financial reform regulations. Additional information is available at:http://www.whistleblowers.gov. PONTIAC, Mich. – Asphalt Specialists Inc. has been found in violation of the Surface Transportation Assistance Act by the U.S. Department of Labor's Occupational Safety and Health Administration for wrongfully terminating a foreman and two truck drivers. They had raised safety concerns after being directed to violate U.S. Department of Transportation mandated hours of service for commercial truck drivers. Headquartered in Pontiac, the asphalt paving company was ordered to reinstate the three employees to their former positions with all pay, benefits and rights. The company was ordered to pay a total of $953,916 in damages: $243,916 in back wages to the drivers, $110,000 in compensatory damages and $600,000 in punitive damages. "It is illegal for an employer to retaliate against employees who report work-related safety concerns or violations of federal transportation regulations, which require drivers to have a minimum 10-hour rest period between shifts," said Assistant Secretary of Labor for OSHA Dr. David Michaels. 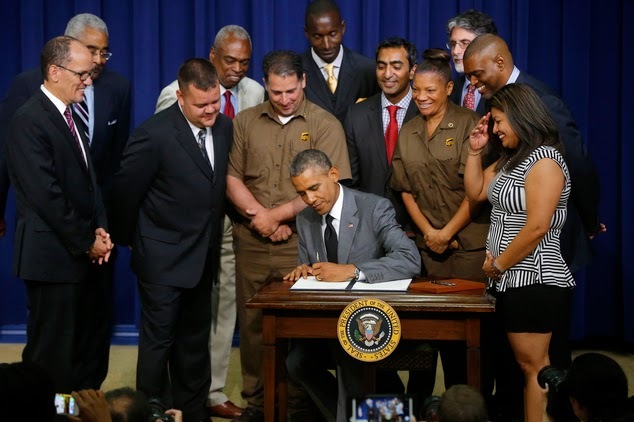 "OSHA is committed to protecting workers from retaliation for exercising basic worker rights." The foreman was terminated from employment on June 30, 2012. The foreman repeatedly raised concerns to the company's co-owner about exceeding hours of service when job assignments repeatedly failed to allow for the 10-hour rest period mandated by the Department of Transportation. At least twice, the foreman and the crew were expected to work more than 27 hours straight. The employee rightfully refused to operate a vehicle in an unsafe manner, which could potentially cause serious injury to the worker, co-workers or the public. OSHA has ordered the foreman to be reinstated and to receive back wages of $147,457, less any applicable employment taxes; $50,000 in compensatory damages and $200,000 in punitive damages. The second truck driver was terminated from employment on April 26, 2013. The employee also raised concerns about the number of work hours required by the company and refused to sign an affidavit denying that the worker was required to work in excess of the number hours legally permitted. Asphalt Specialists sought the affidavit to use in their response to OSHA's investigation of the fired foreman's claims. OSHA has ordered this driver to be reinstated and to receive back wages of $44,379, less any applicable employment taxes; $30,000 in compensatory damages and $200,000 in punitive damages. The Surface Transportation Assistance Act covers private-sector drivers and other employees of commercial motor carriers. Companies covered by the STAA may not discharge their employees or retaliate against them for refusing to operate a vehicle because doing so would either violate a federal commercial motor vehicle rule related to safety, health or security, or because the employee had a reasonable apprehension of serious injury to themselves or the public because of a vehicle's safety or security condition. A production supervisor for Smokin’ Spuds Inc. based in Colorado had a habit of licking his finger and putting it in the ears of at least two of the female workers as he sexually propositioned them, according to a recent EEOC lawsuit. He also allegedly touched female employees’ buttocks while they clocked in for work, forced others to sit on his lap in a dark office while he made inappropriately sexual remarks, licked his lips while watching them from a distance and other offensive conduct. The EEOC claimed in a Federal Court complaint that at least three of the women named in the suit were forced to perform undesirable work and eventually fired after they opposed or reported the production supervisor’s conduct. When one of the female employees reported the supervisor’s sexual harassment to the manager, she was sent home for the rest of the day and asked to write a statement reporting the supervisor’s conduct. Two managers then met with her the following morning, and then told her to go to lunch while they decided what to do about her report concerning sexual harassment. When she returned approximately forty minutes later, a manager told her she was being terminated for being gone too long for lunch. Smokin’ Spuds never took any disciplinary or corrective action against the offending supervisor, the suit claims. The case was filed by the EEOC on August 7, 2014 in the U.S. District Court for the District of Colorado. 1. Having a harassment policy that covers sexual harassment only — nothing about race, national origin, disability, age, or religion. 2. Having a policy that requires the accuser to report the harassment through the chain of command. 3. Policy or training that is too legalistic. 5. Training that does not occur unless you’ve been sued. 7. Related to No. 6, failure to timely notify Human Resources or your lawyer about a complaint of harassment. 11. Failure to follow all leads when conducting your investigation. 12. Failure to follow up with the accuser after the investigation is over.